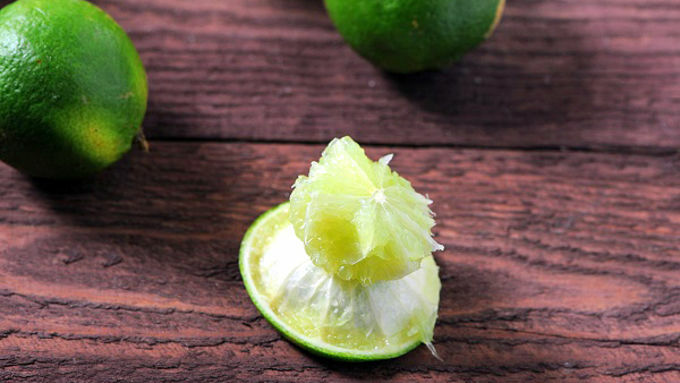 If you have soft limes, you can cut them in half and then flip them inside out. This will make removing the pulp easy. If the lime is too hard for that then you will need to take a paring knife around the edges of the halves to loosen the pulp from the rind. 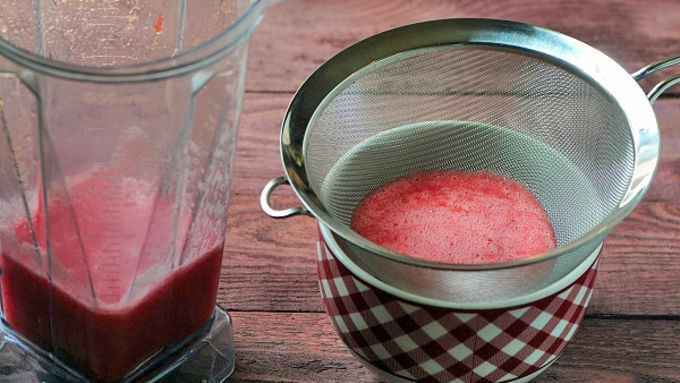 In food processor or blender, puree the watermelon until smooth. Strain through a fine mesh sieve placed over the bowl. To get all the juice, use the back of a spoon to press on the pulp to extract. The pureed watermelon should yield about 1 cup of watermelon juice. Set aside. 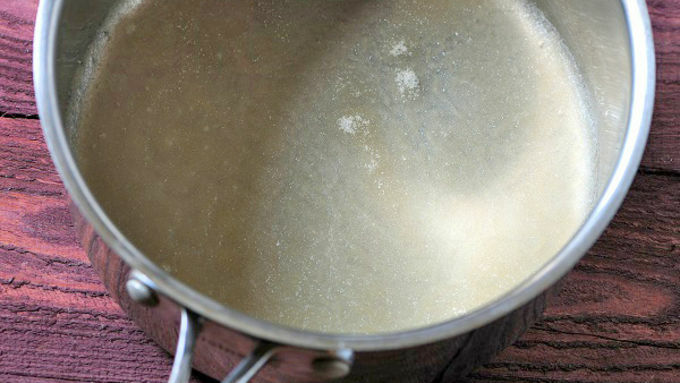 Pour water and limeade concentrate into a small saucepan and sprinkle with gelatin. Allow to soak for a minute or two. Heat over low heat until gelatin is fully dissolved, about 5 minutes. Stir in 1 cup of watermelon juice, the Grand Marnier™ and tequila. Pour mixture into lime halves, filling all the way to the top. Chill in the fridge for at least 2 hours. 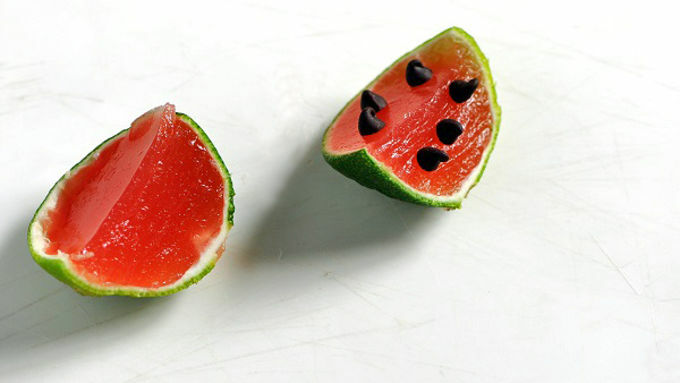 Stick in chocolate chips, if desired to create watermelon seeds. I know, I know…how cute are these?! 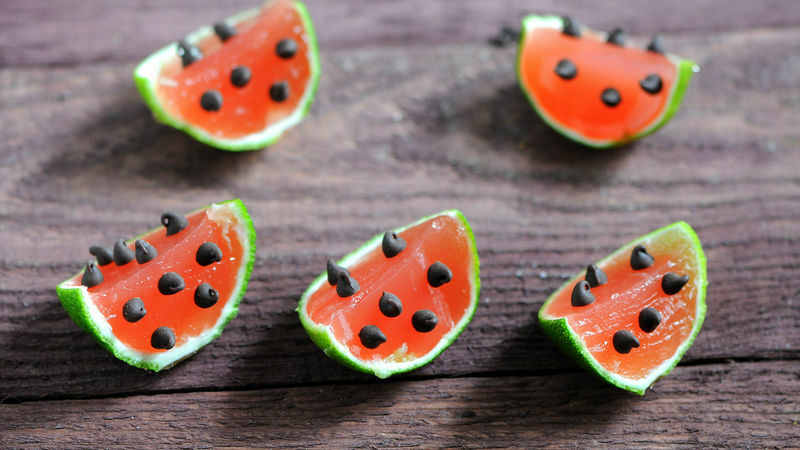 Watermelon Margarita Jelly Shots! Can’t you see them at you next BBQ? I know I can. 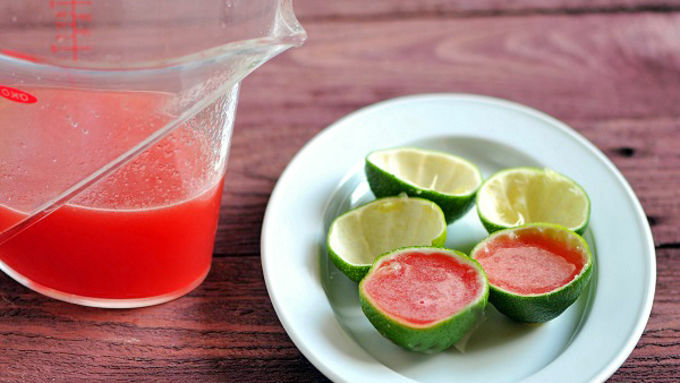 The use of fresh watermelon juice really makes these extra refreshing! The limes definitely require some work to remove all of the pulp, but the awesomeness of how cute they are is more than worth it. If you use the chocolate chips as the watermelon seeds, I recommend that you eat the chocolate chips first before the jelly shot - unless you like the combo of watermelon and chocolate. 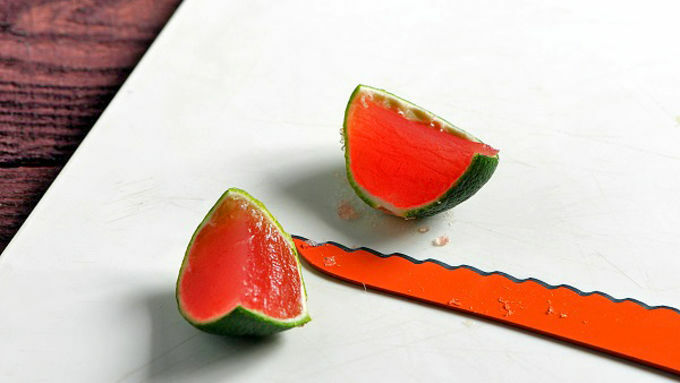 Bring these to your next BBQ and watch your friends devour these cute jello shots!